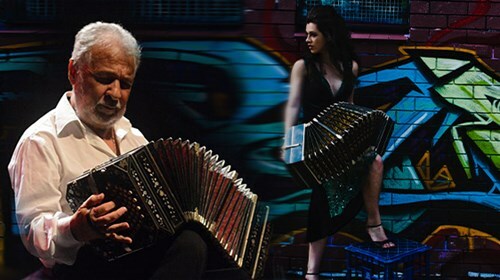 Experience an evening of world class Tango music with Bandoneonist Nestor Vaz, and Pianist/Bandoneonist/Singer Emily-Rose Sarkova. On October 6, a very special guest all the way from Uruguay is coming to Camelot Lounge for rare opportunity to see a true bandoneon master at work! Artistic Director of ever popular tango ensemble Tángalo, Emily-Rose, has put together a program with Nestor Vaz from Uruguay of duo repertoire to delight audiences in an intimate evening. The concert will feature works by Piazzolla especially arranged for the duo, as well as double bandoneon pieces, some beautiful songs and haunting solo pieces. Special guests to be announced!